From the first time I heard the young virtuoso Mimi Stillman perform, I knew this was a musician I had to compose for, and hearing Mimi's transcription of my It Takes Four to Tango in July 2002 made me quite eager for the opportunity. 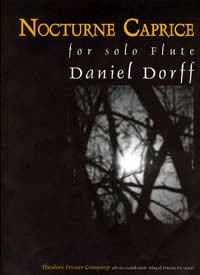 In October 2002 Mimi asked if I had any unaccompanied flute music to perform on an all-unaccompanied recital on November 2, and despite the short lead time, I jumped at the chance to compose a new piece within the next few weeks. 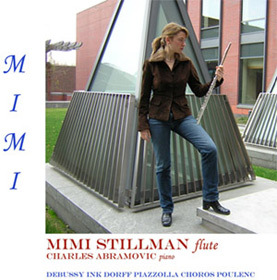 Nocturne Caprice is included on Mimi Stillman's first CD (pictured at the right). Nocturne Caprice is a poetic rondo; the dark and gentle main theme is a departure point for more brilliant episodes, with lyrical writing in the low register as well as sunny passagework.